Go back to when you were considering how to use social media. What did you decide on as an approach, and how did you come to that decision? I first started using social media personally nearly seven years ago. I was starting a new job in a new field and wanted to force myself to learn all about it. But I was scared of what my new job would think, so I started blogging under a pseudonym. I never did it for anyone else, but I learned so much, and my pseudonym was getting slightly famous, so I came out of the closet, so to speak and named myself. Having that history, that ability to get comfortable using social media before jumping into the deep end was HUGELY helpful. I often recommend folks start a personal account, or an account for their pet or about a specific hobby, before starting an agency or professional account. It's much easier to learn the ropes when one's professional reputation isn't on the line. I started using social media professionally during the H1N1 influenza vaccine campaign in 2009. We needed a novel way to get the word out and we started from scratch that fall. In retrospect, I wish we would've started sooner and built an audience up before the pandemic, but once there was press, people naturally tried to seek us out and our followers grew beyond what we thought possible during the time. Have you replaced any traditional PR methods using social tools only? Share some examples that you think are working well. We haven't yet. I still work for a big city government agency and changing techniques is like turning a battleship--things take forever. But our Department has recently made a big foray into using social media more by convening a social media users working group to help coordinate messaging across the many programs and projects and creating a new Director of Digital Public Health position (me!) in the Commissioner's Office to start coordinating digital endeavors throughout the Department. What's a big lesson you've learned in using social media? The democratization of publication due to social media is the biggest change in media since the establishment of mass media conglomerates. Anyone can be a publisher--actually, that's not entirely correct. Everyone IS a publisher. One only needs to look at the Justine Sacco situation to see how a relatively unknown Twitter account can galvanize the world. This is a huge opportunity for government communicators and small firms that are willing to take a chance and experiment with innovative social media practices. You don't need ten thousand dollar (or more!) 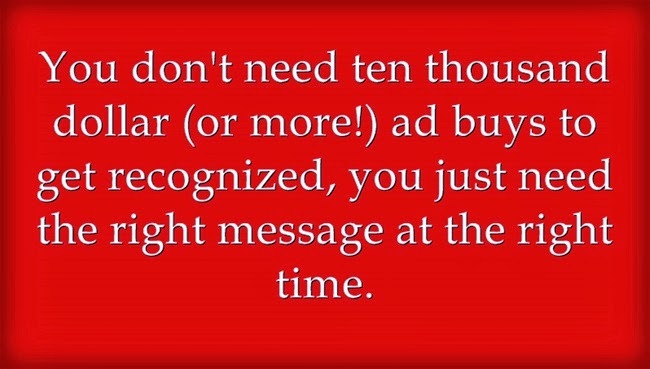 ad buys to get recognized, you just need the right message at the right time. Which platforms are you using now? Throughout the Department, we have a number of social media platforms in use. Twitter is my favorite, but we also have a few Facebook Pages and an Instagram account. The platforms are chosen based upon the goals of the campaign. Twitter is a great resource for interacting with the media and giving out quick, constant updates. It's also a big winner among the urban crowd. The Instagram account is part of our free condom distribution program and this is targeted at young, connected teens. We are NOT very mature in our metrics. Funding is extremely thin and what we can collect for free is really all we get. This means that some of the higher level data points like sentiment analysis are out of our reach. We collect basic followership data and interactions. I try to capture specific, anecdotal stories to punch up the data, but overall, it's rather rudimentary, unfortunately. I hope to identify specific funding and more dedicated metrics tracking in the future. What would you like to be able to do that you're not doing now? As I said above, I would like to professionalize our data collection attempts. I would also like to move some of our media relations work online. Finally, as a government agency, I'd love to start incorporating some crowdsourcing and "big data" into our operations. Utilizing social media to identify public health situations like outbreaks would be awesome and a great opportunity to get ground-truth at almost no cost. Finally: Share some links to examples of your social media efforts. Personally, I can be found on www.faceofthematter.com and twitter.com/jgarrow. My agency is on Twitter.com/PHLPublicHealth and Facebook.com/PHLPublicHealth. Our biggest, most successful social media accounts are Facebook.com/TakeControlPHL and Instagram.com/TakeControlPHL.